LOVE Animals But Not Sure How to Help? FOSTER! All You Need is Love! 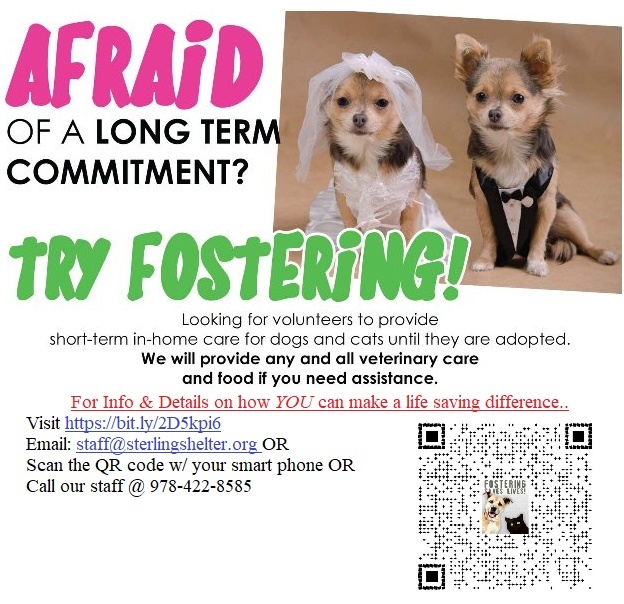 Consider fostering a pet/s that might need a little TLC until they can come back to the shelter to be vetted – find their fur-ever homes and adopted! The majority of pets that need foster care are short term commitments (anywhere from a week to a couple months at the very most) – we provide any/all supplies and vet care here at the shelter! You provide the love and TLC…. Why Foster A Dog/Puppy (or cat/kitten) and What Does It Entail? A pet is too young to be adopted and needs a safe place to stay until he or she is old enough to go to a forever home. A pet is recovering from surgery, illness or injury and needs a safe place to recuperate. A pet is showing signs of stress such as pacing or hiding in the shelter. A pet has not lived in a home before or has not had much contact with people and needs to be socialized. The shelter is running out of room for adoptable pets. A pregnant or nursing dog or cat needs a safe, warm and loving home to give birth or care for her offspring. Occasionally we get a litter that may need bottle feeding or more medical care than we can offer in the shelter environment and the pet/s would do better in a foster home where s/he gets lots of TLC. Why should I foster a pet? freeing up a spot so the shelter or rescue can take in another pet. giving your foster pet the time he needs to be ready for adoption. helping the shelter learn more about the pets personality so s/he can be adopted into the best home possible. socializing the pet to a home environment and possibly getting him/her used to being around other pets and different types of people. Fill out our foster application and, if you are approved, we will work with you to figure out the right foster pet/s for your household. It is always a health risk to expose your animal to other animals, whether at the off-leash areas, the vet waiting room or other common animal areas. If your pets are current on their vaccinations, maintain healthy diets and lifestyles, and are not immune compromised, then the health risk should be minimal. 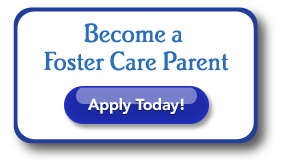 Purchases made for foster care may be considered donations to the shelter and would be tax-deductible. Please check with your shelter or rescue group regarding their tax-deductible status. If the organization is a non-profit, keep your receipts. We are happy to provide any supplies you may need. From food to crates to toys and vet care we can provide everything you need! Sunday 10 a.m. – 1:45 p.m.
Tuesday 11 a.m. – 5:45 p.m.
Wednesday 11 a.m. – 5:45 p.m.
Thursday 11 a.m. – 5:45 p.m.
Friday 11 a.m. – 6:45 p.m.
Saturday 10 a.m. – 4:45 p.m. If something happens after hours please contact the shelters director – her cell phone number and email can be found on your foster ppwk you will go home with when you take your foster pet/s home. ALWAYS check with the shelter staff before making ANY appointment with a veterinary clinic. Without proper clearance, the shelter cannot reimburse you for any medical costs. Our shelter has a group of vet clinics we partner with that provide discounted medical care for the shelters pets. Can I name my foster pet? Your foster pet may already have a name given by the shelter or his or her previous owners. Please keep the same name! The pet may already know his or her name, all the shelter paperwork will be completed under that name and the animal will be listed on our Web site with that name. We want to avoid any confusion among shelter team members, foster families, potential adopters and the animal. HOWEVER – If you choose to adopt your foster pet, you are free to change the name at that point in time.